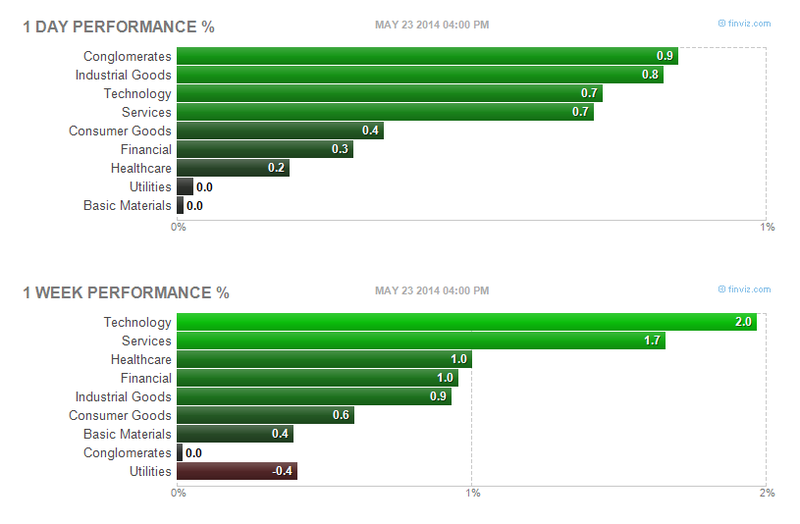 Find best performing sector stocks of week 21 of 2014. Top stock industries are internet service providers, dairy products, electronic stores, internet information providers, etc. This post will look into the top performing stocks, industry, sector, and market capitalization. Major market indices have turned positive in 2014. The S&P 500 index has a weekly return of 1.25%. NASDAQ Composite has a weekly return of 2.33%. The Russell 2000 has a positive return of 2.13%. Looking into best weekly stocks can provide an insight what stock market will bring for the next session. Retail or institutional investors may want to rotate to this sector to avoid bad returns. Can growth stocks finally make a comeback in 2014? Will value stocks continue to slide? 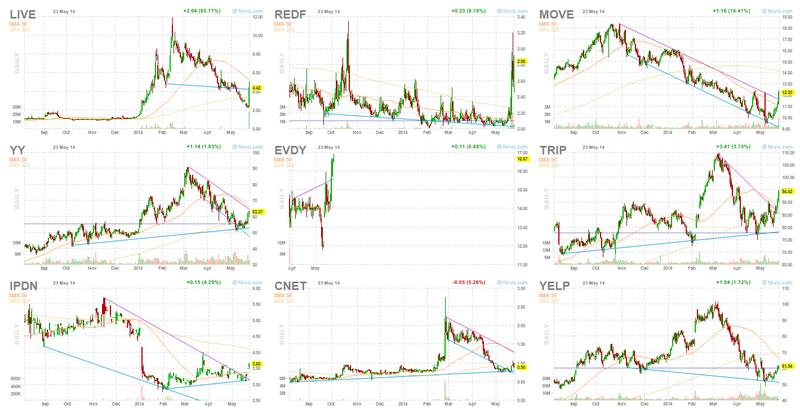 Some great sectors in 2014 are major airlines, real estate (REIT), semiconductors, drug manufacturers, etc. Looking into the top sectors, you can find only technology sector is recovering and become the best performing sector for this week. Is this a dead cat bounce or holiday rally? Whether you are a momentum or value investor, you need to be vigilant for upcoming weeks.